Using knowledge from being, as West says, a “craft beer revolutionary”, he experimented with beer yeasts, wild fermentations, Belgian ale spices, aromatic west coast hops and fruit juices. Referring to his vast library of cider-making books (the largest cider library in Portland), and striving for superior ingredients, West has recreated forgotten cider styles and fermenting techniques. Now, more than a half a dozen varieties of cider with as many different tastes are created right around the corner from your house and the largest number of taps in Portland (12 to be exact). You are sure to find something you like so stop by for a taste at the taproom and take home a growler. They also sponsor many events throughout the year so check out their website for more information. 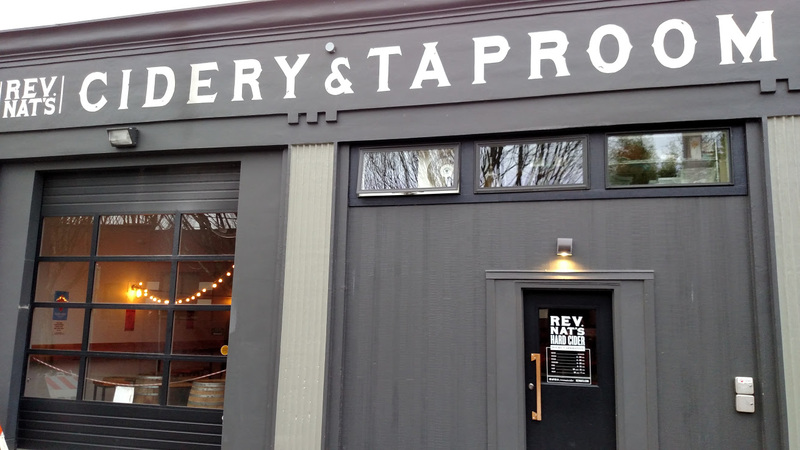 You can find Reverend Nat’s Hard Cider (and maybe even the Reverend himself) at 1813 NE 2nd Ave.